Choosing the best toys for rabbits can be both fun and frustrating. Because if there is one story nearly every pet owner (of any species!) can identify with, it is selecting premium, pricey toys only to have their rabbit prefer an empty cardboard tissue box or paper towel roll! If you are nodding your head right now, we totally understand! Choosing pet rabbit toys today can also quickly turn into an absorbing part-time job, to the point where it’s hard to remember back to the times when we didn’t even realize rabbits enjoyed toys. 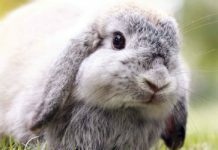 So now, let’s jump in to discover what toys do rabbits like the most and start building up your pet rabbit’s toybox of rabbit toys and supplies! Safety is always the number one priority when selecting toys for rabbits that are suitably safe for both supervised and unsupervised play. A big safety consideration here is making sure the toys for rabbits you select are made of rabbit-safe materials that haven’t been treated with any concerning paint or finish. Also, if you are offering toys made of untreated wood, be sure the wood has been aged at least three months. Danger alert: avoid wood from apricot, cherry, plum, peach or redwood trees. Wooden rabbit toys should always be part of your toys for rabbits toybox. 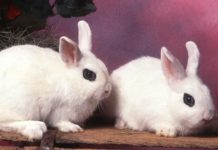 If you are a first-time rabbit owner, you have lots of fun things to learn about your new pet, including that a rabbit’s teeth will grow continuously throughout life. 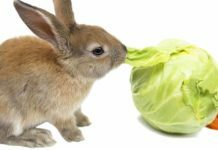 This makes gnawing and chewing an essential part of your rabbit’s daily life. Safe wooden toys are awesome for playtime because they serve two purposes: fun and tooth filing! Apple wood is safe for your rabbit to chew fresh off the branch, and these organic apple sticks come in quantities of 5 to keep your rabbit happily chewing. Willow is also a safe wood for rabbits and is rich in tannins, which can help prevent coccidiosis (a parasitic intestinal condition). Natural untreated seagrass is also very safe and healthy for your pet rabbit to chew. A “logic toy” is any toy that requires your rabbit to get creative in exchange for a reward! It is awesome to introduce a new logic toy around treat time when your rabbit is hungry and motivated. What makes this logic toy really neat is that the colors are green and blue – two colors that are dominant in the rabbit color vision spectrum. This toy comes in several colors, including green and blue. It is a fun toy for feeding time! Your rabbit rolls it around to figure out how to get the pellets out. This is another well-designed logic toy with its top-loading treat compartments and green/blue color scheme. Chew toys for rabbits don’t have to be boring sticks or blocks. These interactive toy rabbit products also double as enrichment toys for rabbits to keep your rabbit busy and happy in body and mind. This pine wood ball is riddled with holes that make chew time fun for your rabbit. Owners say their rabbits also like throwing the ball and chasing it! These rabbit chew toys are made of safe pine in a log shape with periodic holes. You can add more enrichment by stuffing the log with hay. This is a totally unique activity toy designed just for rabbits! 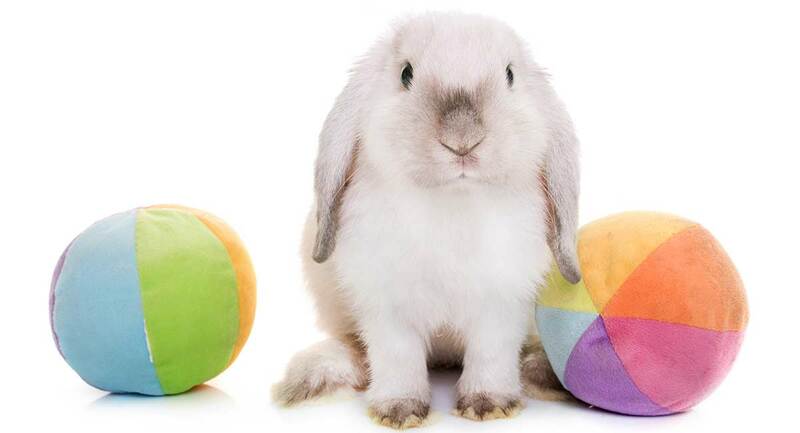 The whole colorful toy is rabbit-safe for play and chewing. Being young can be hard work, especially if you are a fast-growing baby rabbit! These baby rabbit toys strike just the right balance between comfort and engagement to help your baby rabbit grow up strong, healthy and happy. This tent bed toy is unique among the many toys for rabbits in how soft and plush it is. The material is rabbit-safe and you can tuck in toys, treats or chew sticks for your baby rabbit to enjoy while resting. 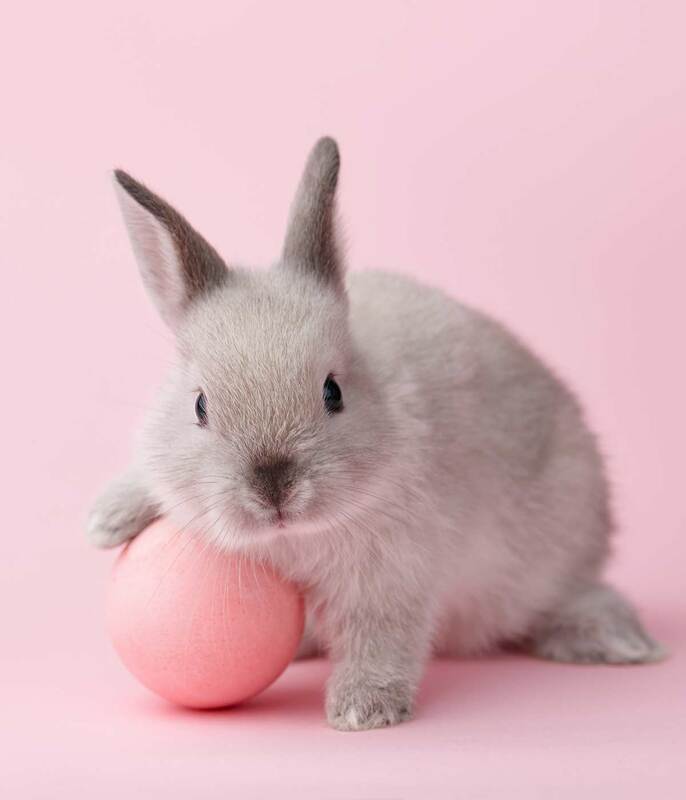 The soft, safe, healthy coconut fibers make this the perfect “first chew ball” for your baby rabbit. This fully chewable natural woven grass bed is great for rest time – your baby rabbit can relax and chew at the same time. Playtime is pure fun time for your rabbit. But the pressure is on for you to find fun toys for rabbits to play with. We think these fit the bill perfectly! This fun little “tree” is made of completely rabbit-safe material and is made in the USA. The tree is colorful (featuring blue/green spectrum) and intriguing for your rabbit. This creative seagrass-based tree toy is pure fun, with its dangling chew toys that move and swing. These crispy, crunchy, rice-based small chew treats are tasty and great for dental health! Rabbit owners usually give one per day. We hope you have enjoyed browsing through this curated collection of some of the best rabbit toys! Endorsed by rabbit breeders, owners, rescue associations and veterinarians, these toys for rabbits are rabbit-safe, engaging and fun! Does your rabbit have a favorite toy? Post a comment to tell us about it! O’Toole, A. (2011). Toys. House Rabbit Society. Kressin, D. (2018). Anatomy of Rabbit Teeth. Animal Dentistry & Oral Surgery Specialists. Axelson, R. (2013). Coccidia in Rabbits. VCA Animal Hospital. Previous articleCan Rats Eat Tomatoes Safely As A Snack?